Este programa gratuito es posible gracias a la asociación entre LandPaths, Laguna Foundation y el Distrito de Preservación Agrícola y Espacio Abierto del Condado de Sonoma. Este es un recorrido de ida y vuelta de 2 millas sobre terreno y pasto mayormente plano pero irregular. Todas las edades son bienvenidas. Translation: Vamos Afuera Adventure at the Laguna (this event will be led in Spanish). 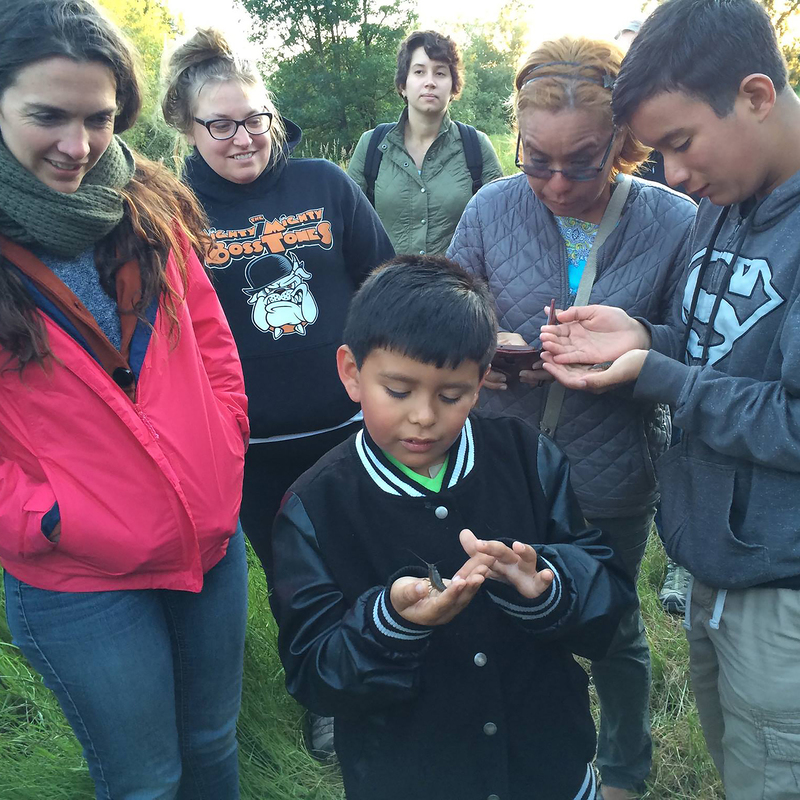 Join LandPaths and the Laguna Foundation for a fun-filled evening of family adventures at the Laguna de Santa Rosa! We’ll start off by enjoying some light snacks and a brief overview of the Laguna and LandPaths at Heron Hall. After an engaging tour of the native plant landscape and children’s playscape, we’ll walk across the hayfields to Irwin Creek and Lower Stone Farm where we’ll explore streamside restoration, birdwatch, and look for signs of the abundant wildlife. We’ll conclude with a picnic meal (bring your own) together along the banks of the Laguna. This is a 2-mile round trip walk over mostly flat but uneven dirt and grass. All ages welcome. This free program is made possible through the partnership between LandPaths, the Laguna Foundation and Sonoma County Ag + Open Space.